Efficient Solar Panel : this updated solar panel can quickly absorb sun rays and generate electricity for our litom solar powerlight. 3 Intelligent Modes : Strong Long Light Mode, Dim Light Sensor Mode, Strong Light Sensor Mode are all integrated in this solar motion lights. 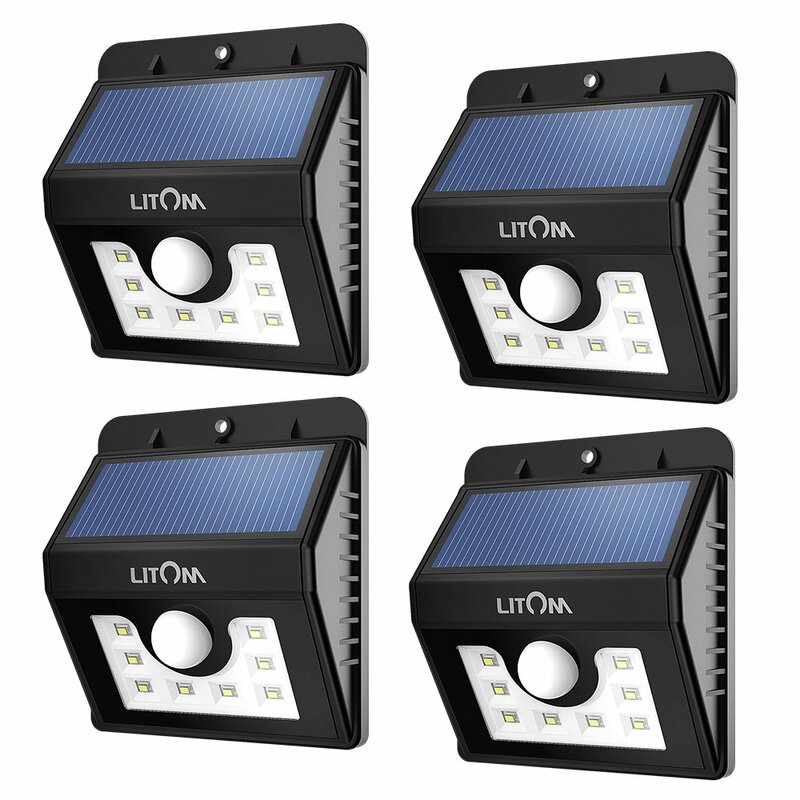 8 LED Solar Lights : 8 bigger LED lights are brighter than other similar solar lights in the market. Geart Sensor Ball Head : the Sensor Ball Head just get bigger and more powerful so as to reach a length of 26 feet ! Weatherproof Solar Lights : Two layers of tightly-sealed inner loop allows it to be waterproof, or even weatherproof.